I am slightly obsessed with Pinterest…similar to the rest of the females I know. But what I am loving to do is find amazing craft and decor ideas and duplicate them myself. Have you tried this yet? 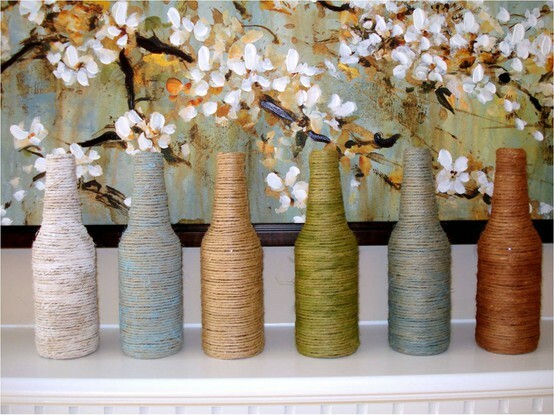 I duplicated a great idea for vases that is so cute and so inexpensive. 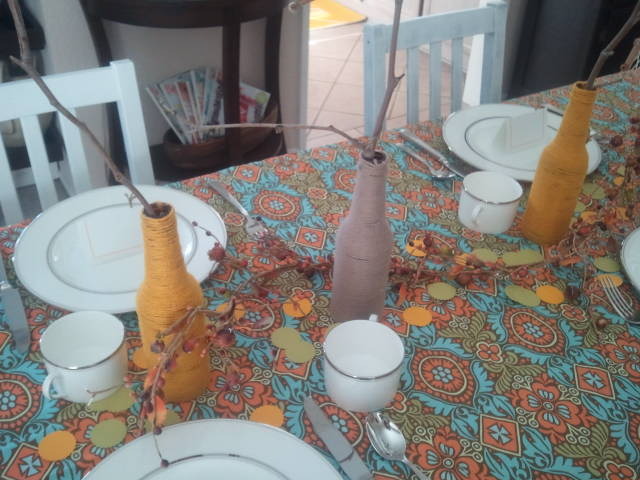 I then used them for my Thanksgiving day centerpieces. You must try these…they can go in just about any room. All they are are a bottle could be a win bottle, beer bottle, root beer bottle anything really. Just next time you are done drinking something or done with your vinegar perhaps…don’t throw away the bottle. 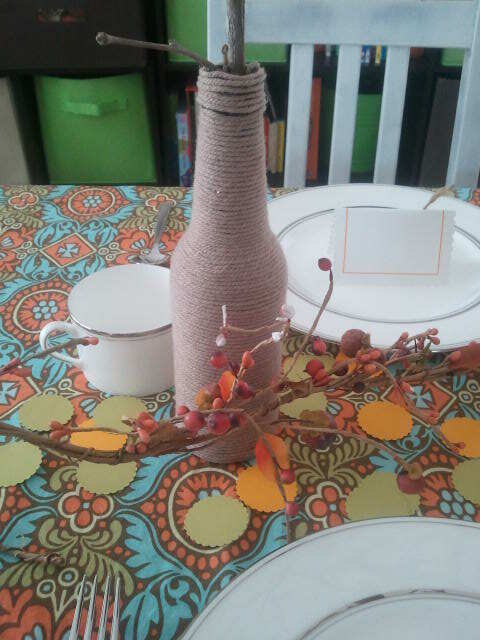 Buy some yarn and a hot glue gun and start wrapping that bottle. Voila. Adorable, Anthropologie-ish vases. Share any of your projects you have duplicated.